A few weeks ago, after Hurricane Harvey hit South Texas, students at Southern Nazarene University were eager to find ways to help friends, family members and even strangers who were affected by the hurricane’s aftermath. 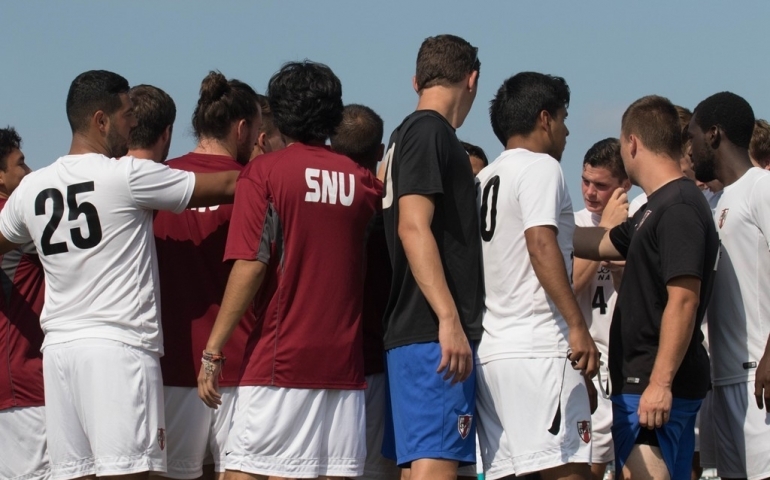 In addition to other students who served their time to spend a weekend down in Houston, the Men’s Soccer team at SNU also decided to help in their own way. Trey Petry, a senior sports management major at SNU and defender on the Men’s Soccer team, is from Cypress, Texas. “It was hard being 400 miles away and not being able to do anything,” stated Petry. That’s when Trey’s family had the idea for a school supply drive. “The drive was kind of last minute, but it was my mom’s idea to do a school supply drive. There were students who had lost everything and were going to be starting school soon,” said Trey. The team decided to hold a school supply drive at two of their home games where they collected the school supplies, and Trey’s family took everything that was donated back to Cypress. Additionally, I talked to Ngozi Gregory, a junior also majoring in sports management who is a midfielder for the team. I asked Ngozi what the student’s reaction was to the soccer team’s drive: “It was great right from the start. Students started asking about it right after Blair Spindle mentioned it during chapel,” stated Ngozi. I also interviewed Emilee Copeland, a junior at SNU studying sociology, on her opinion about the soccer team’s school supply drive. “I think it’s awesome that the soccer guys are willing to serve people in times like this, it shows how they care about the community and others in times of need,” stated Emilee. The soccer team had a good turn out with the drive and they were able to help Hurricane Harvey victims in a tangible way. What a great example these guys, and others who served, gave to the students of SNU.